Announcing a new political theory series with Hannah Arendt’s work The Human Condition as centerpiece – its footnotes really. Bryan W. Brickner takes a (brief) look and finds Marx highlighting violence and an American exception. In living as a modern before post-modernism, Arendt theorizes with self-assured acuity; often more than most are accustomed to: for example, her Marx hits the mark. Ew Publishing announces Hannah Arendt Footnotes, a 21st century political theory series celebrating her 1958 book, The Human Condition. 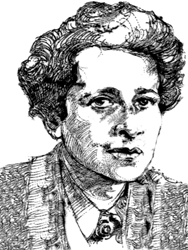 The new series on the Bryan William Brickner Blog highlights and celebrates Arendt’s 1958 book via its 21st century applicability. In the first posting, Arendt Footnotes: Marx, Violence and the American Revolution, modernity’s glorification of violence is noted with one exception: 1776. In January, Brickner published Shivitti: A Review of Ka-Tzetnik 135633’s Vision (2015), and acknowledged Arendt’s work in his book; specifically, the role of otherness in violence. Next Ew Publishing: Friday, 27 February, Black History, American Exceptionalism and Carl Sandburg’s Chicago of 1919, a William Abens special on the Bryan William Brickner Blog.